Metallic copper nanoparticles were synthesized by a bottom-up approach, and coated with protective shells of graphene in order to get a metal nanopowder of high air stability and chemical inertness. Using an amphiphilic surfactant, a water-based copper nanocolloid could be prepared and successfully printed onto a polymer substrate by conventional ink-jet printing using household printers. The dried printed patterns exhibited strong metallic gloss and an electrical conductivity of >1 S cm−1 without the need for a sintering or densification step. This conductivity currently limits use in electronics to low current application or shielding and decorative effects. The high stability of graphene-coated copper nanoparticles makes them economically a most attractive alternative to silver or gold nanocolloids, and will strongly facilitate the industrial use of metal nanocolloids in consumer goods. Backed by our rich industrial expertise, we have come up with Graphene (COOH) Nanopowder for our valuable customers. Formulated under hygienic conditions and thoroughly tested, this is highly regarded in the market. It finds application as catalysts, energy conserving coatings, anti-static coatings, etc. It is a white colored powder of optimum purity. We offer Nanopowder at standard market prices. Backed by our rich industrial expertise, we have come up with Graphene Multi Layered Nanopowder for our valuable customers. Formulated under hygienic conditions and thoroughly tested, this is highly regarded in the market. It finds application as catalysts, energy conserving coatings, anti-static coatings, etc. It is a white colored powder of optimum purity. We offer Nanopowder at standard market prices. Backed by our rich industrial expertise, we have come up with Graphene Polymer Grade Nanopowder for our valuable customers. Formulated under hygienic conditions and thoroughly tested, this is highly regarded in the market. It finds application as catalysts, energy conserving coatings, anti-static coatings, etc. It is a white colored powder of optimum purity. We offer Nanopowder at standard market prices. Backed by our rich industrial expertise, we have come up with Graphene Electrical Grade Nanopowder for our valuable customers. Formulated under hygienic conditions and thoroughly tested, this is highly regarded in the market. It finds application as catalysts, energy conserving coatings, anti-static coatings, etc. It is a white colored powder of optimum purity. We offer Nanopowder at standard market prices. Because Of Their Unique Nanoscale Size, Shape, And Material Composition, Graphene Nanoplatelets Can Be Used To Improve The Properties Of A Wide Range Of Polymeric Materials, Including Thermoplastic And Thermoset Composites, Natural Or Synthetic Rubber, Thermoplastic Elastomers, Adhesives, Paints And Coatings. The Graphene Nanoplates Are Offered In A Granular Form That In Water, Organic Solvents And Polymers With The Right Choice Of Dispersion Aids, Equipment And Techniques. 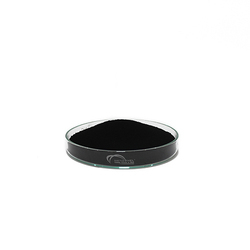 Backed by our rich industrial expertise, we have come up with Graphene Nanopowder for our valuable customers. Formulated under hygienic conditions and thoroughly tested, this is highly regarded in the market. It finds application as catalysts, energy conserving coatings, anti-static coatings, etc. It is a white colored powder of optimum purity. We offer tin oxide nanopowder at standard market prices. Backed by our rich industrial expertise, we have come up with Graphene (OH) Nanopowder for our valuable customers. Formulated under hygienic conditions and thoroughly tested, this is highly regarded in the market. It finds application as catalysts, energy conserving coatings, anti-static coatings, etc. It is a white colored powder of optimum purity. We offer Nanopowder at standard market prices. 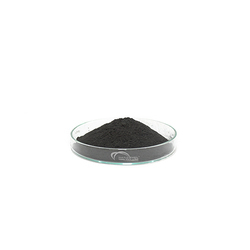 Backed by our rich industrial expertise, we have come up with Graphene Oxide (Electrical Grade) Nanopowder for our valuable customers. Formulated under hygienic conditions and thoroughly tested, this is highly regarded in the market. It finds application as catalysts, energy conserving coatings, anti-static coatings, etc. It is a white colored powder of optimum purity. We offer Nanopowder at standard market prices. 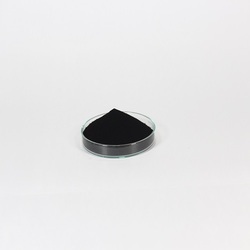 Owing to the vast experience and knowledge of this domain, we have been able to offer our customers high quality Graphene Nanopowder. This product is highly appreciated among our customers for their precise pH, long shelf life, non-toxicity, and accurate composition. 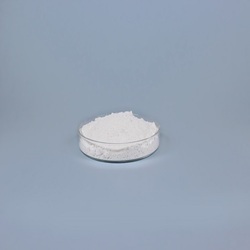 Owing to its high surface area, this nanopowder can be advantageous for mixing with polymers. 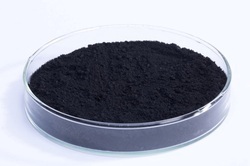 Looking for Graphene Nanopowder ?